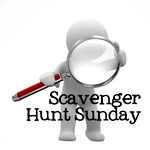 Welcome back to Scavenger Hunt Sunday. It’s amazing to me how quickly time passes. I still haven’t shared a preview from our trip to Disney…and quite honestly, I haven’t even edited all the photos. Heck, I haven’t edited photos from Christmas. I should really do that. Until then, link up! If you didn’t join this week’s Scavenger Hunt but want to join us next week, then scroll down all the way to the bottom for your list. Earlier this week, we went to visit my parents. During the day, that means hanging out at The Red Caboose. When I was a kid, I did the same thing…but at my grandparents’ grocery store. 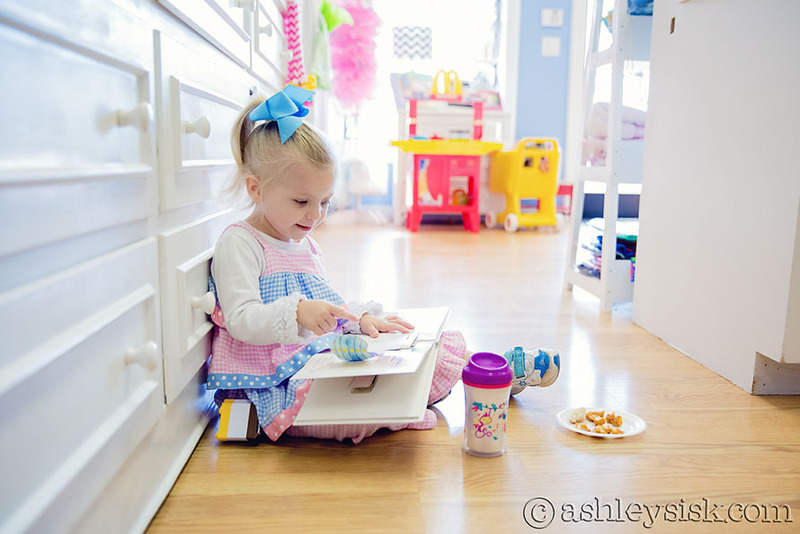 Most times, Felicity finds my mom’s stash of books and reads on the floor. 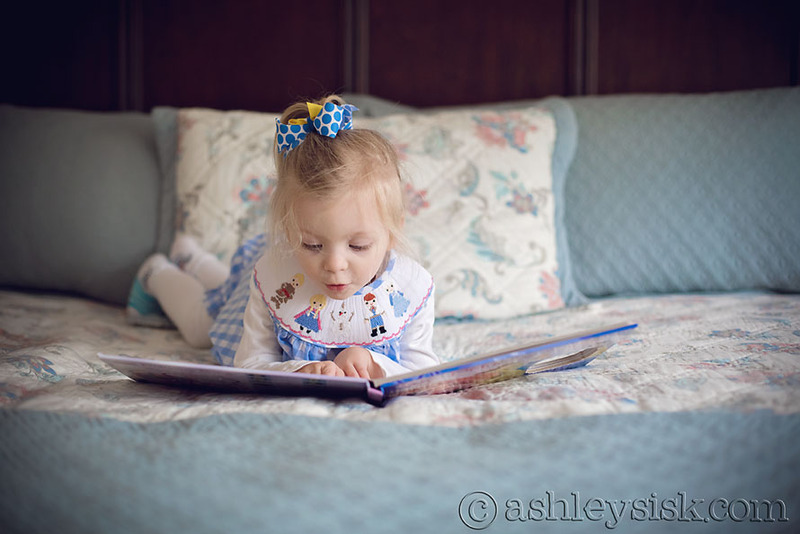 Speaking of books – Felicity is slightly addicted to reading. I love it although I don’t always enjoy reading the same book over and over again. I was a book nerd when I was little. I remember many a day, walking around the house with a Ramona book glued to my face. 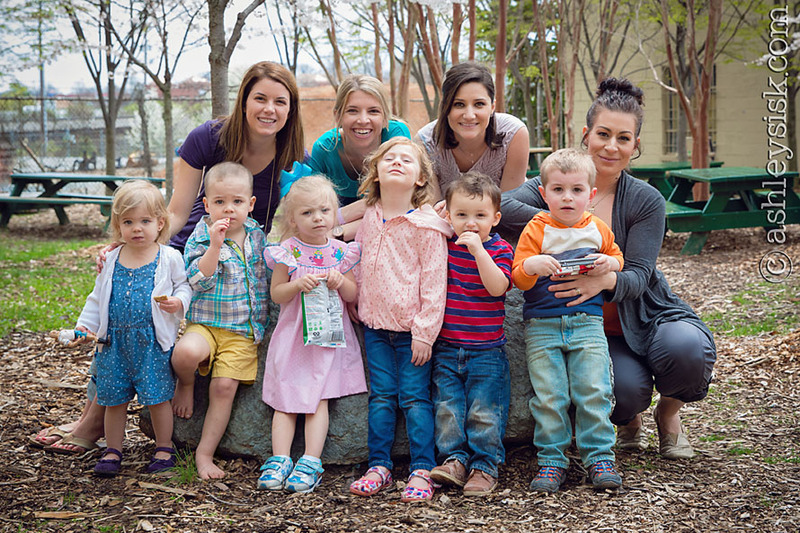 On Thursday, we met up with some of the other North Carolina Daily Mom writers for a play date at the Greensboro Children’s Museum. We each brought a picnic for lunch, so after playing inside for a little while, we set up at their little park to eat. Then, we set up for group pictures. The kids were hilarious. They saw my tripod and immediately jumped into place. So what if they didn’t want to let go of their food. I accept being a willing participate as progress! 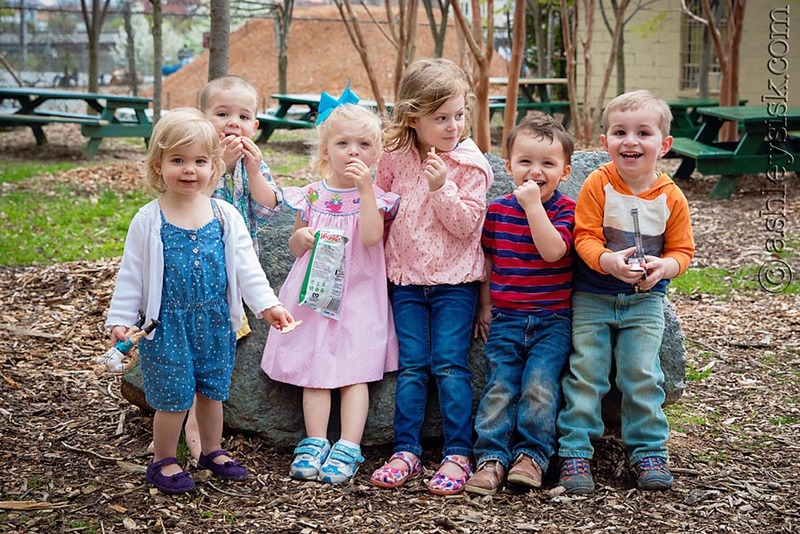 Felicity’s food of choice was Sea Salt Veggie Straws. Yum! I’ve probably eluded to the fact that Felicity is a little slow to warm up to new situations. Some might call her behavior SHY, but I try not to put that kind of label on her because I don’t want her to feel stuck in that role (having grown up that way myself). Anyways, I’m always so proud of her when she pushes herself outside of her comfort zone. For example, last summer, we went to the mountains with my inlaws. The resort had a face painting station and we thought that by her cousin getting her face painted that Felicity might be game. She wasn’t. So, when we went to this Easter Egg Hunt last weekend, I figured she wouldn’t want her face painted there either. 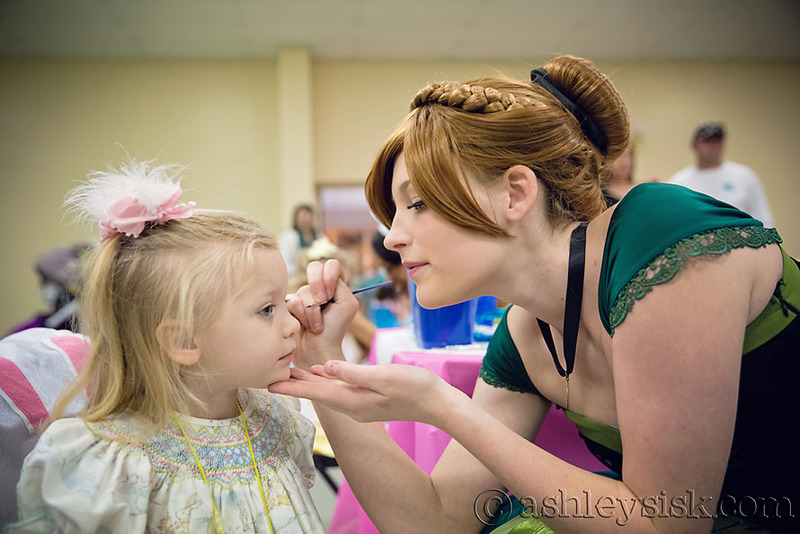 Well…I guess “Anna from Frozen” painting your face makes all the difference in the world. She had a tiny heart painted on her cheek. She was so proud…and so was I! Here’s another picture from our meet up on Thursday – there I am, dead center!